Tokyo, Japan (BBN) – Asian markets traded mixed and the dollar slid to multi-month lows against the yen on Wednesday. The Nikkei 225 fell 1.33 percent, reversing gains seen earlier to trade at its lowest levels in four months ahead of the release of U.S. inflation data later in the day, reports CNBC.com. The moves were accompanied by the dollar falling to 15-month lows against the yen. Automakers traded in negative territory, with Toyota and Honda Motor lower by 2.63 percent and 1.8 percent, respectively. Technology shares were also mostly lower, with SoftBank Group declining 3.31 percent. Toshiba bucked the trend to climb 1.28 percent. The company announced on Wednesday that it would appoint Nobuaki Kurumatani as chairman and chief executive. Among other heavyweights, Fanuc Manufacturing fell 2.54 percent. Fast Retailing declined 1.27 percent in the afternoon. Meanwhile, fourth-quarter Japan gross domestic product data released on Wednesday showed the economy grew at an annualized 0.5 percent, below a median forecast of 0.9 percent, Reuters reported. Across the Korean Strait, the Kospi advanced 0.68 percent, with Samsung Electronics extending gains and climbing 2.82 percent. Other technology names were mixed: SK Hynix slipped 0.26 percent and LG Electronics lost 1.81 percent. Shares of Lotte Corporation were down 5.57 percent after Lotte Group Chairman Shin Dong-bin was sentenced to two years and six months of jail as part of a wider political scandal in South Korea. Lotte Shopping stock was lower by 0.68 percent. Down Under, the S&P/ASX 200 traded lower by 0.27, with the heavily weighted financials sub-index dragging on the broader index. The sector edged down by 0.83 percent as most of Australia’s “Big Four” banks traded lower: Commonwealth Bank of Australia fell 3.01 percent and ANZ was lower by 0.34 percent. In other individual stocks, Australian department store operator Myer jumped 4.67 percent after the retailer announced Wednesday that Chief Executive Richard Umbers was stepping down. The search for Umbers’ replacement has commenced immediately, Myer said in a statement. Hong Kong’s Hang Seng Index rose 0.77 percent, with financials logging a strong performance. China Construction Bank added 1.94 percent, HSBC gained 1.38 percent and insurer AIA was flat. Tech heavyweight Tencent rose 1.18 percent while other shares in the sector traded mixed, with Lenovo Group slipping 0.26 percent and Sunny Optical rising 2.44 percent. Mainland markets trod water ahead of an upcoming long holiday. 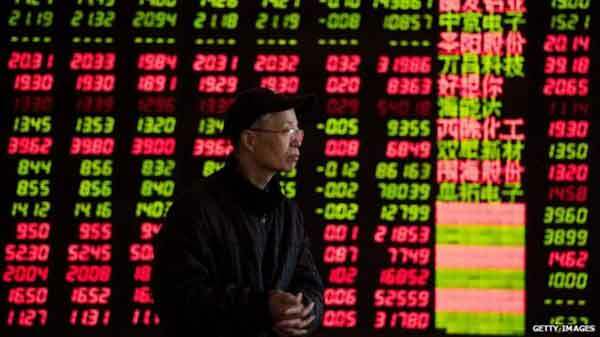 The Shanghai composite was lower by 0.3 percent while the Shenzhen composite slipped 0.17 percent. It will be a shortened week for greater China markets, with mainland China markets closing from Feb. 15 to Feb. 21 and Hong Kong markets shut from Feb. 16 to Feb. 19 for the Lunar New Year. Other regional markets, including South Korea, Taiwan and Singapore, will also finish the week early due to the holiday. Vietnam’s markets were closed on Wednesday for the Lunar New Year holidays. Meanwhile, markets awaited the release of U.S. inflation data on Wednesday during U.S. hours. “A strong U.S. core CPI would likely lead to lower global equity prices, higher U.S. bond yields, and a stronger dollar against most currencies with the possible exception of the safe haven Swiss franc and yen,” Joseph Capurso, a currency strategist at Commonwealth Bank of Australia, explained in a morning note. The Dow Jones industrial average ended the session higher by 39.25 points, or 0.16 percent, at 24,640.45 after slipping as much as 180.24 points earlier in the day. Other major U.S. indexes also closed with gains. Those gains were a continuation of the rebound from massive losses seen last week: Major U.S. indexes closed in correction territory on Thursday last week after sliding more than 10 percent below their 52-week highs. Markets had been concerned about rising interest rates influencing the Federal Reserve’s interest rate hike path. 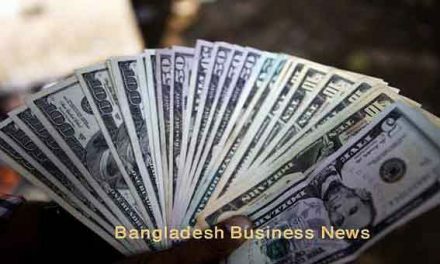 In currencies, the dollar index, which tracks the U.S. currency against a basket of six rivals, extended losses to trade at 89.440 by 12:01 p.m. HK/SIN. That was comparable to the 90 handle seen earlier this week. Meanwhile, the yen rose to its highest levels in fifteen months. The dollar last traded at 106.86 after slipping as low as 106.82 earlier. On the commodities front, oil prices were steady after settling little changed in the last session as markets focused on global oil supply and the softer dollar. U.S. West Texas Intermediate was mostly flat at $59.20 per barrel. Brent crude futures edged up 0.16 percent to trade at $62.82.